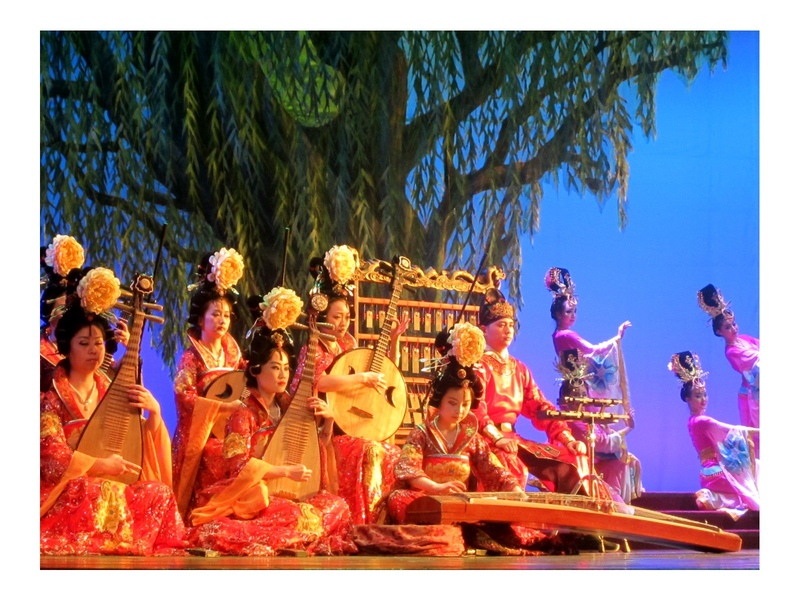 As a tourist in China, there is the opportunity to see a “cultural show” of some sort! 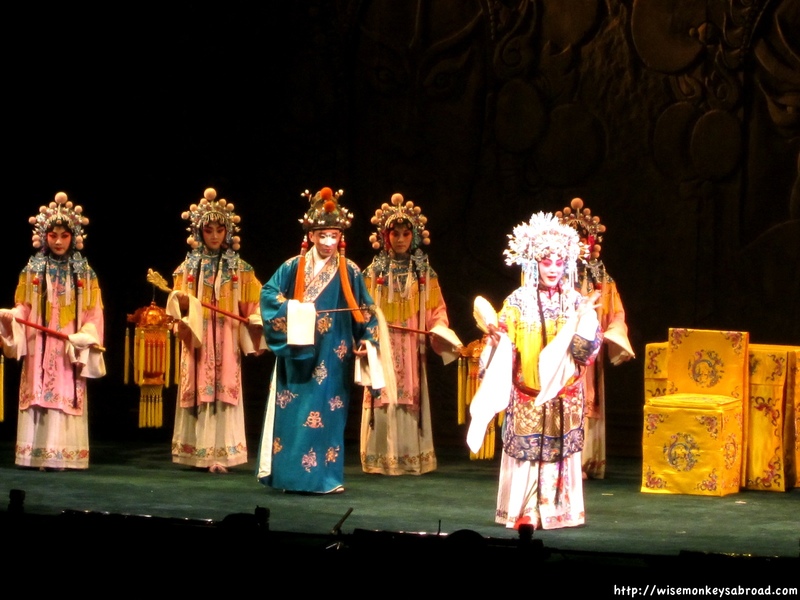 In Beijing, it is usually the Peking Opera. 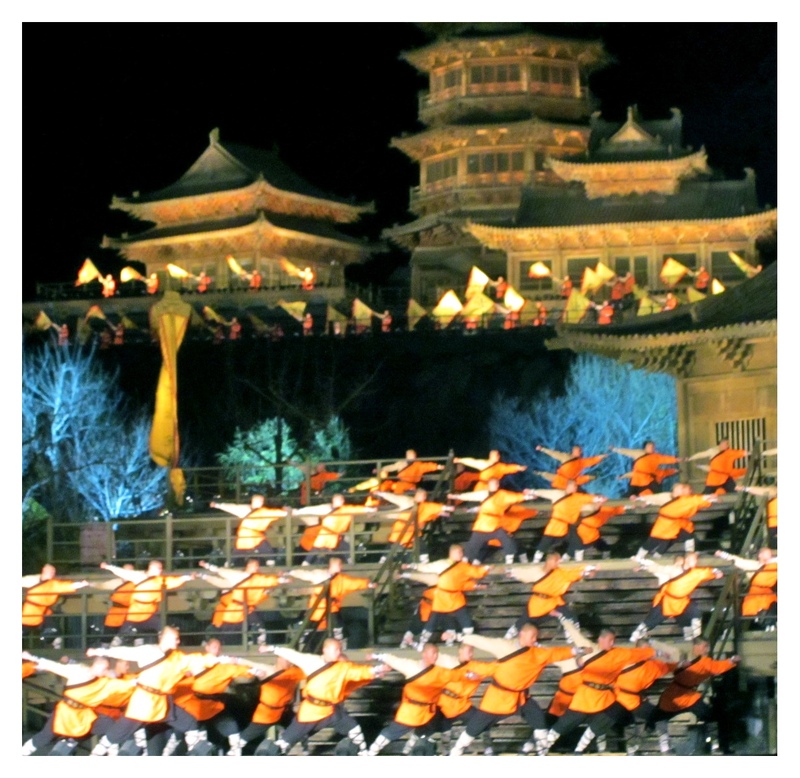 In Xi’an, it is probably a Tang Dynasty Show. 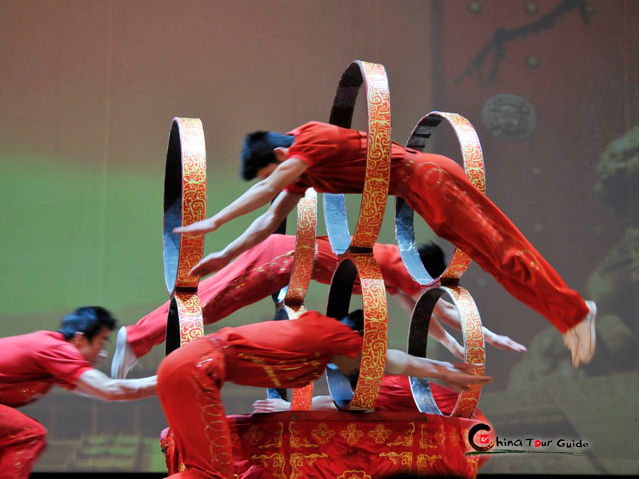 In Shanghai, it is likely to be the acrobatic show. We saw all three and our favourite was none of these but instead an outdoor zen music performance by the Shaolin monks in Dengfeng. So, what did we really think? 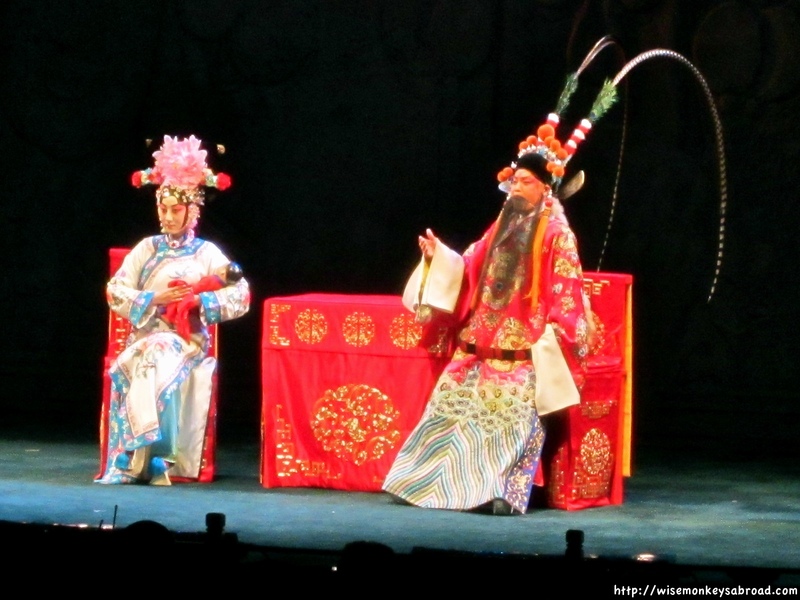 To watch a Peking Opera, one needs to keep an open mind (a really open mind)! The costumes are fascinating however that is probably where the fascination for us ended. The story lines (as there are about 3-4 mini plays in the overall show) are difficult to follow as the subtitles are on the wall alongside the stage (our eyeballs are not skilled enough to look at two different things in opposite directions). We mean no disrespect for this traditional cultural performance but the singing is high-pitched and whining and can be quite unbearable after a while. We were a little wary of seeing this show following the Peking Opera, however we were pleasantly surprised. Firstly, this show came with a buffet dinner. The buffet dinner had quite a fair bit of variety and the food was rather tasty. 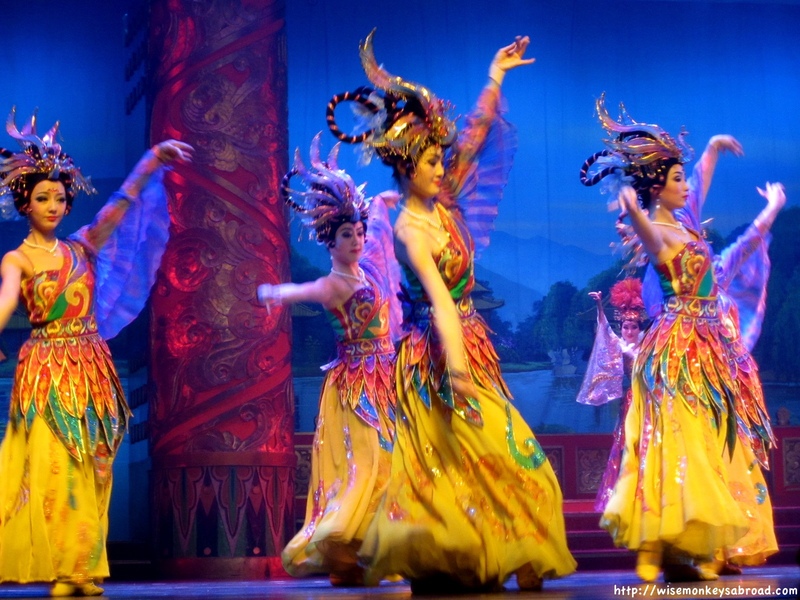 The show was colourful with beautiful costumes and stage settings. It was definitely engaging and entertaining. The instrumental performances were most enjoyable. This particular show didn’t allow photography, which was different to all the other shows we saw in China, but we could understand why. The acrobatics in this show were unbelievably fast and camera flash could have dire consequences if performers were distracted. Picture Cirque du Soleil but without the comedy and clowns – the performers somersault through hoops and balance plates on poles. There was even a magic show with audience participation which was amusing! The show was rather upbeat. We have never seen a show that has blown us away as much as this performance did. 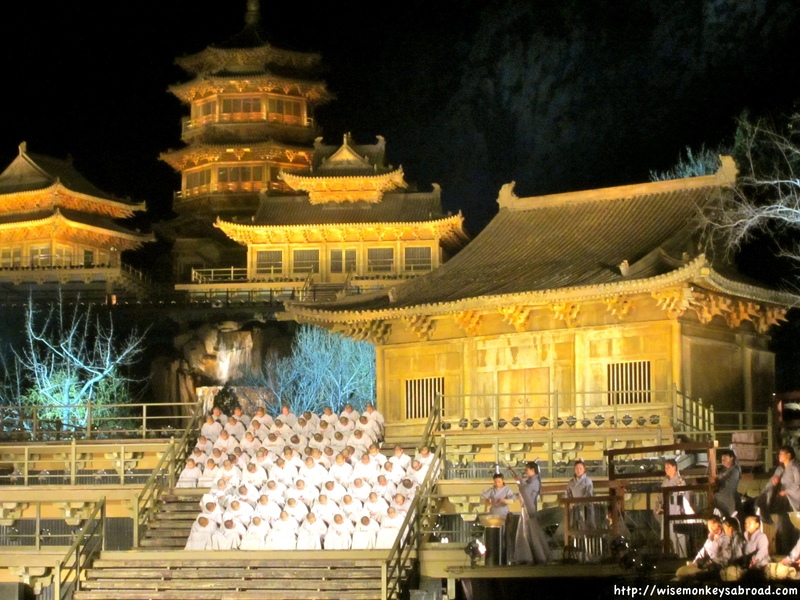 It was set in a beautiful outdoor theatre with the billion-year-old mountain ranges behind it. There was music, there was kung fu, there were monks on zip lines re-enacting fight scenes across the mountains (imagine Crouching Tiger, Hidden Dragon) and there was a light show. The entire performance was mesmerising yet so calming. 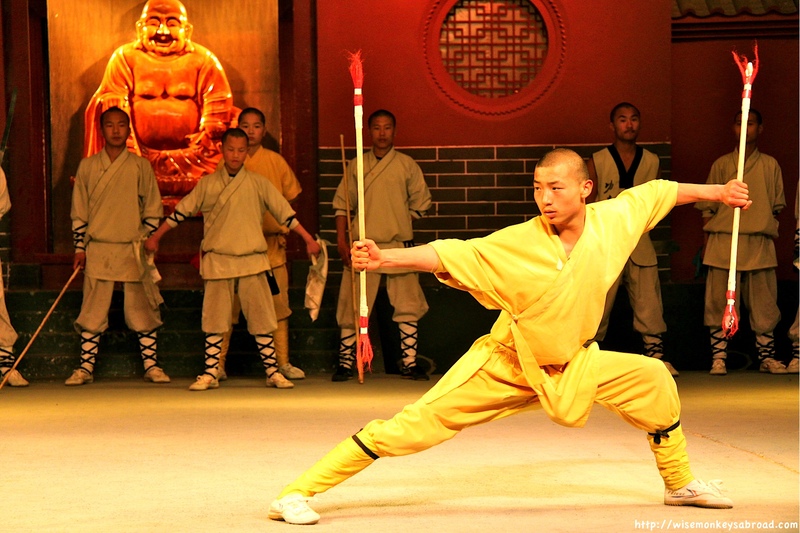 Earlier in the day, we had witnessed a Shaolin Monk performance at the temple which was a true display of training and what the body is capable of doing. The discipline demonstrated by those trained here is just mind-boggling. 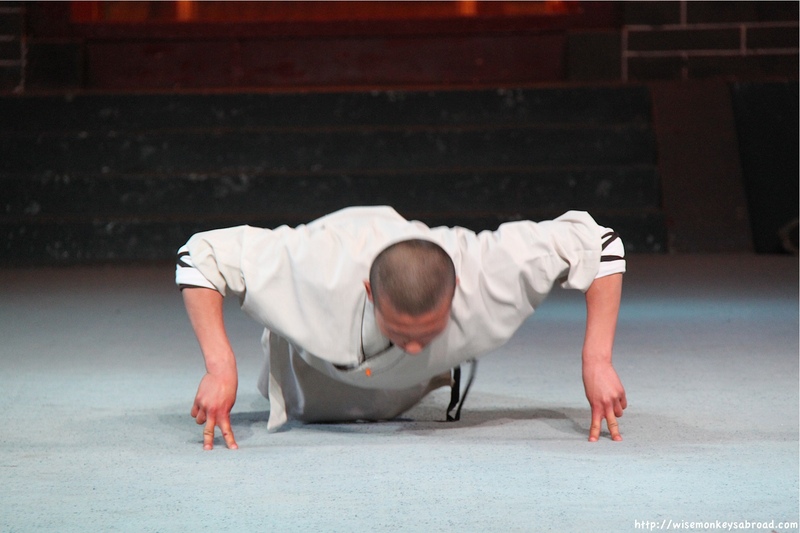 This entry was posted in Asia, China and tagged acrobatic show, Beijing, China, cultural shows, Peking Opera, Shanghai, shaolin monks, shows, Tang Dynasty Show, Travel, Xi'an.